Should You Add Salt To Your Diet? For years we have been warned by the health authorities that fat is bad for our health and a major cause of common lifestyle diseases and salt has also experienced the same demonization. Labelled as a dangerous food additive and underlying cause of many diseases, the facts are if you eat the right sources of fats ( you can read more about healthy fats here) and consume salt in the right form, they will actually increase your longevity and help to prevent common lifestyle diseases. 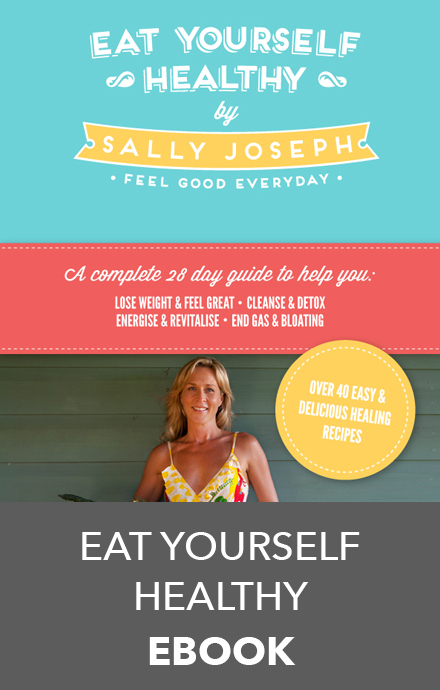 Salt is in fact essential for good health, so much so that the body cannot function without it. Contrary to popular belief, the body actually requires salt for regulating and maintaining healthy blood pressure as well as optimal metabolism, digestive and adrenal function. 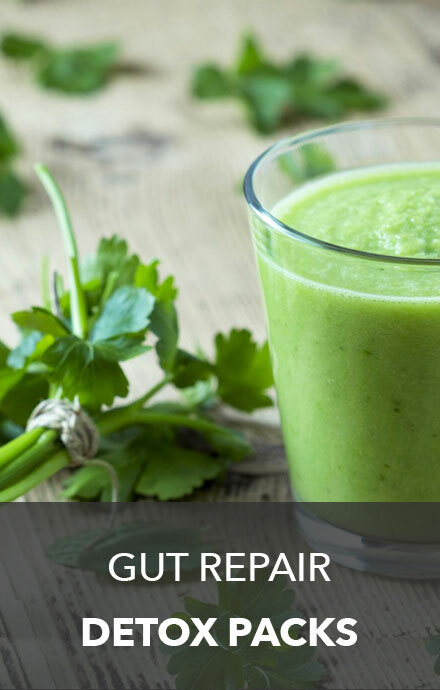 Many of us fall victim to the dreaded sugar or salt cravings, but when it comes to craving salt, this can be an indication for compromised adrenal function. You can read more about the effects of adrenal insufficiency syndrome or adrenal exhaustion here. The Japanese are renowned for their long life expectancy compared to other western nations and interestingly they have one of the highest salt intakes in the world but the difference between the Japanese salt intake vs the west, lies in the source they consume it in. Just as there are healthy sources of fat, carbohydrate and protein, there are also GOOD vs BAD forms of salt, so to reap the health benefits of salt we need to consume it from a healthy source. The salt that you should avoid is the refined table and cooking salt, such as Saxa. Common table salt contains 97.5% sodium chloride and 2.5% chemicals such as moisture absorbents and is devoid of any vital trace minerals, because of the processing method used to dry table salty at an extremely high temperature. It is this processing method that alters the natural chemical structure of the salt to a form your body recognizes as something completely foreign. Refined table salt is contained in virtually every processed food. So the more processed foods your diet contains, the more processed salt you are consuming and that is not including the added table salt you may be using. Processed table salt also contains preservatives such as calcium carbonate, magnesium carbonate, and aluminum hydroxide to enable it to pour more easily. Aluminium has been linked as a potential cause of Alzheimer’s disease. So the million dollar question, which form of salt is healthy for us? By far the purest and healthiest salt in the world is Himalayan rock salt, because it has been mined from the mountains, washed by hand and is free from environmental pollutants. Unlike common table salt, it has not been processed or contaminated with toxins or pollutants. 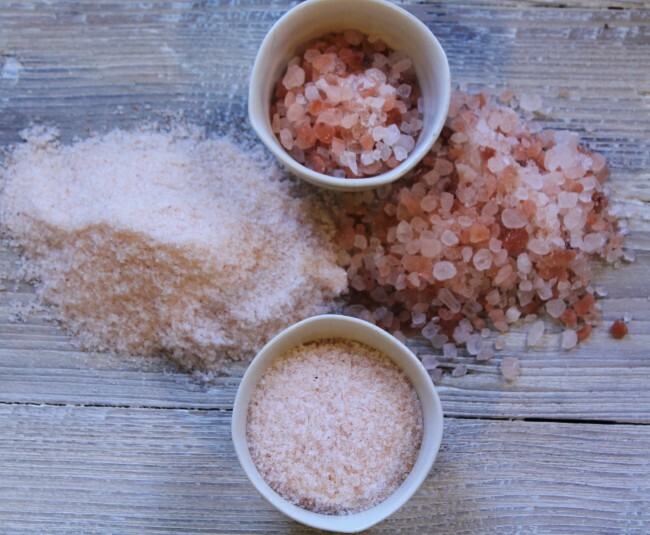 The major health benefits of Himalayan rock salt boil down to the fact it contains 84 trace elements and minerals. The only down side to this form of salt is that it does not contain an essential mineral iodine, which is contained in refined table salt. Iodine is an essential for maintaining healthy thyroid function, but don’t fret, you can obtain it from other sources other than relying on refined salt, such as including dietary sources such as seaweed or supplementing. I test every patient’s iodine level and alarmingly the majority return a sub-optimal level – even those consuming refined table salt return a sub-optimal level. I recommend EVERYBODY have their iodine levels assessed because the effects of iodine deficiency will have a major impact on your thyroid function and subsequent metabolic rate and energy levels. You can read more about the effects of an under active thyroid here. Aids in healthy blood sugar regulation. Helps to clear the sinuses. 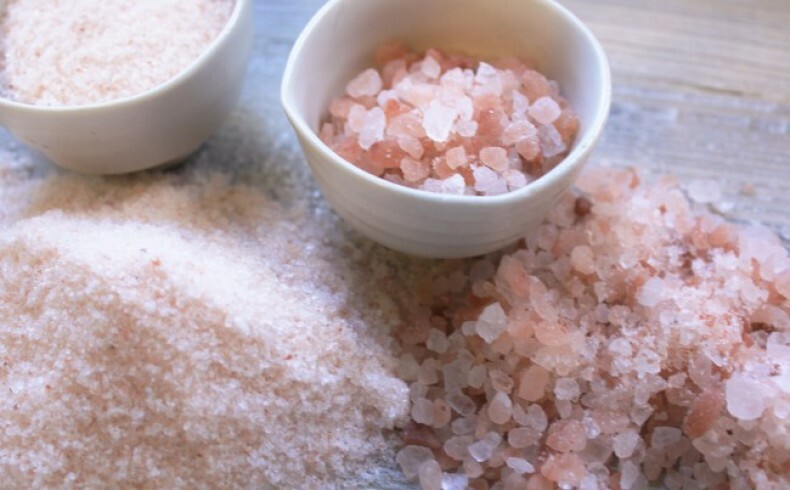 Himalayan salt does not contribute to high blood pressure like typical table salt because it contains essential trace minerals and elements including potassium, calcium and magnesium that help to promote healthy fluid balance through replenishing your electrolyte minerals. I must admit I prefer Himalayan rock salt over sea salt because the worlds oceans have become so polluted by toxins including mercury, PCBs and dioxin. So sadly today’s sea salt simply isn’t as healthy as it used to be. For those wondering about rock salt, unfortunately this is a poor substitute compared to Himalayan salt, because it contains little nutritional value, because your body cannot absorb and metabolize the minerals it contains compared to those contained in Himalayan salt. So if you avoid eating processed foods and adding refined salt to your diet, your health will actually benefit from adding a pinch of authentic Himalayan salt to your meals each day. How many of you avoid adding salt to your diet because you believe it to be bad? Thanks Lianna, I’m hearing you on the taste front!